Scientists believe they have captured the elusive “God particle” that gives matter mass and holds the physical fabric of the universe together. The historic announcement came in a progress report from the Large Hadron Collider particle accelerator. Professor John Womersley, chief executive of the Science and technology Facilities Council, told reporters at a briefing in London: “They have discovered a particle consistent with the Higgs boson. Scientists say it is a 5 sigma result which means they are 99.999% sure they have found a new particle. Scientists at Cern will announce that the elusive Higgs boson ‘God Particle’ has been found at a press conference next week, it is believed. Five leading theoretical physicists have been invited to the event on Wednesday – sparking speculation that the particle has been discovered. 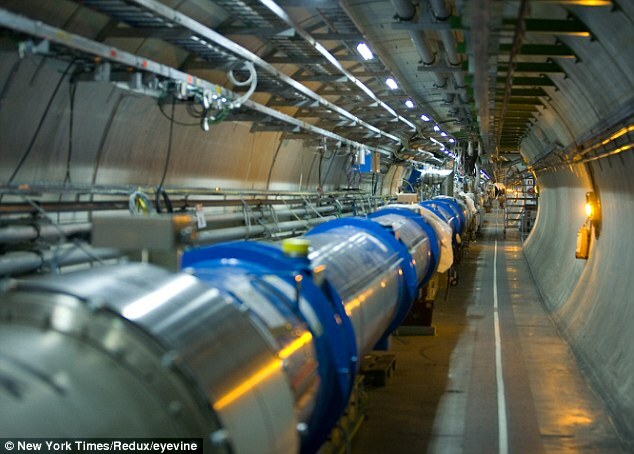 Scientists at the Large Hadron Collider are expected to say they are 99.99 per cent certain it has been found – which is known as ‘four sigma’ level.